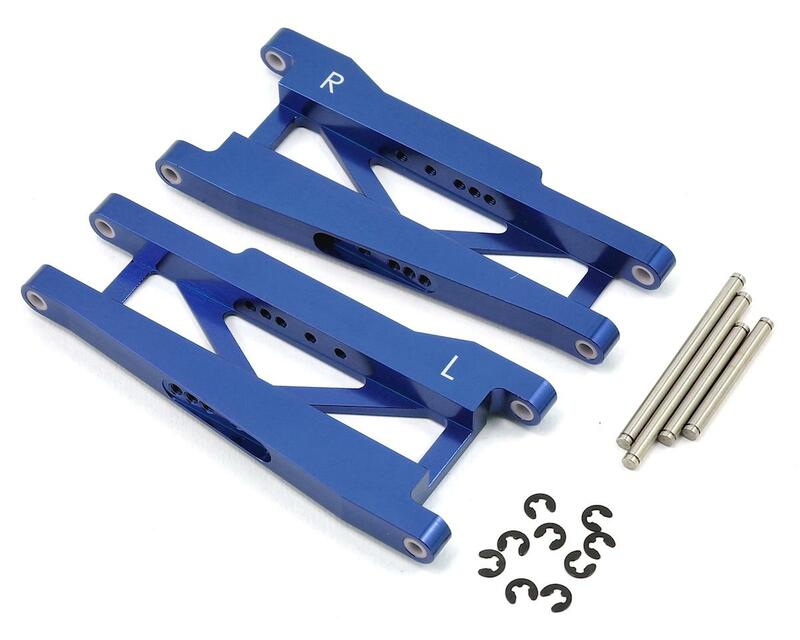 This is a set of optional ST Racing Concepts Blue CNC Machined Aluminum Rear A-Arms for the Traxxas Stampede or Rustler. CNC Machined from high grade aluminum material, these aluminum Rear A-arms will bullet proof your Traxxas Stampede and Rustler. For smooth suspension operation, the hinge-pin holes are fitted with machined delrin inserts. Each set of A-arms also comes with high-grade steel hinge-pin set w/e-clips. Solid in design and construction. 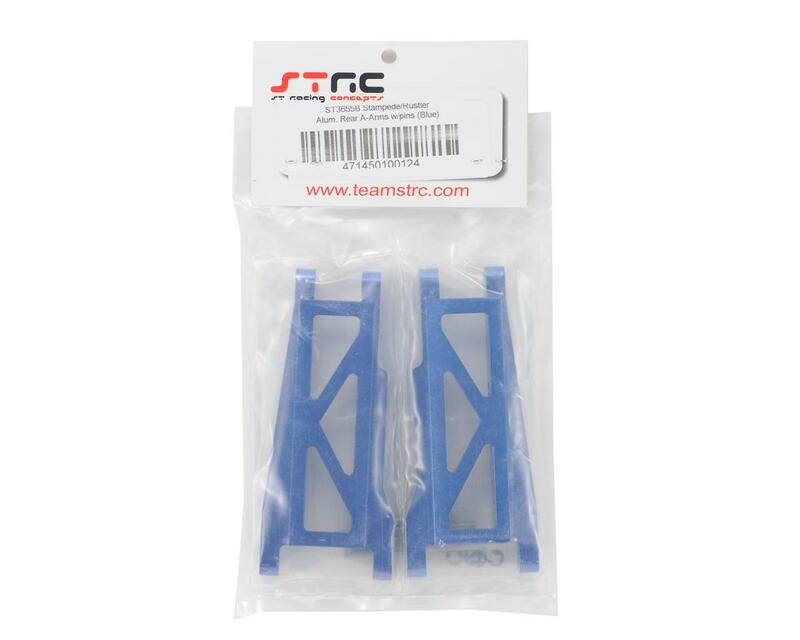 Note: Not compatible with Traxxas Slash as the Slash uses a shorter rear arm.